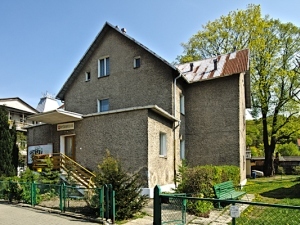 The Błyskawica VII guest house is a beautiful old-style building which belongs to Forum-Invest Międzyzdroje. 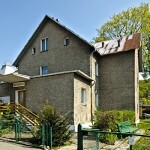 As well as other Forum-Invest guest houses, Błyskawica also can be proud of its wonderful location. 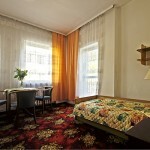 The property is located in the eastern part of the promenade, just about 200 meters from the Baltic Sea. 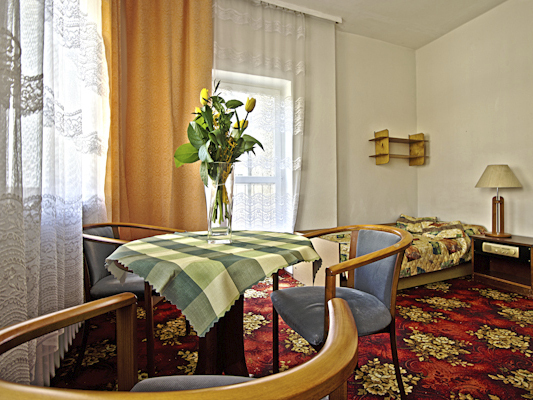 Błyskawica VII is open all year round and offers 28 beds in double rooms with private bathrooms and also one-, two-, and three-bedrooms with washbasins. A communal sanitary facilities are located in the corridors. 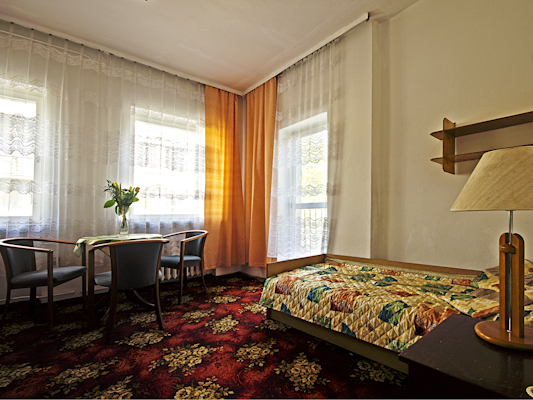 Our rooms have typical but nice hotel-type furniture and radio.Additionally, double bedrooms with bathrooms are equipped with a TV and deckchairs. For our guest we give a car parking places ready to use.